My music sensei never steers me wrong. Mind you, I do have many. But one of them gave me life a couple of weeks ago when he curbed my ears to The Suffers. Let’s talk about this amazing group, shall we? 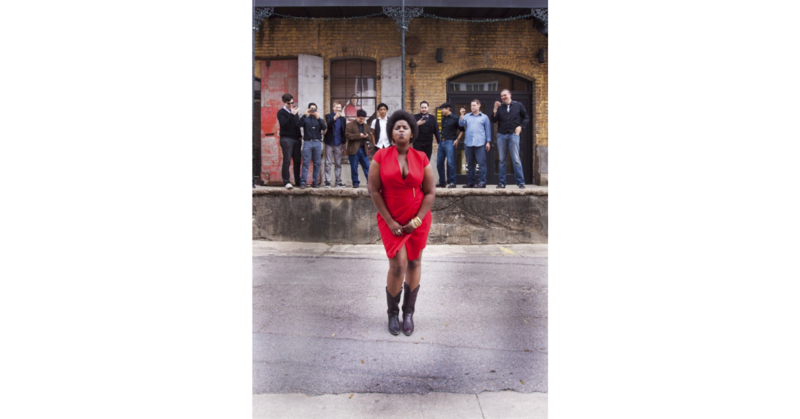 The Suffers consist of ”a few guys and a girl playing Gulf Coast soul,” which is what their Twitter account states. However, to me that translates into – we are a badass group from Houston that can rock a mic and serve you soul as hot as authentic jerk chicken, yet as cool as a cold libation on a hot summer day. The leading lady – Kam Franklin (who happens to be a Gemini and born the same day as my brother, may I add! Fabulousness!! ), is definitely the answer to the equation here. The band and Ms. Franklin just fit. It’s really that simple. This group here! The Suffers sound is a mélange of rocksteady, soul and jazz. This is surely enough to solicit a bubble and two-step. Their sound can most likely lay heavy on the fact that the group is a mix of some of the best bands in the Houston area (Heptic Skeptic, Los Skarnales, The Handsomes etc). They are simply fantastic and I have fallen hard. You know you love it, don’t fight it. You can’t! I don’t even know what else to say on this. My friends, if you haven’t already – please get yourself acquainted with The Suffers.